The Asian American Bar Association of New York (AABANY) is proud to announce that Kin Ng, Bureau Chief of the Red Zone Trial Bureau, Kings County District Attorney’s Office, will be the recipient of the Norman Lau Kee Trailblazer Award at AABANY’s Ninth Annual Fall Conference on September 22, 2018, to be held at the Fordham University School of Law. Named for Norman Lau Kee, a revered legal and community pillar of New York City’s Chinatown for decades, this Trailblazer Award honors an accomplished leader in the legal profession who is of Asian Pacific American (APA) descent or has demonstrated dedication to APA issues in the community. This award honors an individual who has carved a path for others to follow, served the community as a mentor and role model, and has made a lasting impact on the APA community through his or her dedication and commitment. 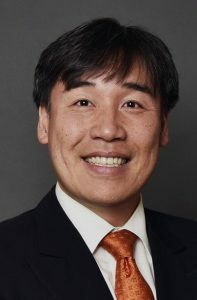 Kin Ng made history last year when he became the first Asian Pacific American to be promoted to serve as Bureau Chief at a major trial bureau in a prosecutors’ office in New York City. He supervises more than 40 Assistant District Attorneys in prosecuting crimes ranging from minor violations to burglaries and attempted murder. He is also responsible for closely coordinating with local precincts and community leaders to serve the people of Brooklyn. In his former role as Chief of the Immigrant Fraud Unit, Kin was a tireless defender of Brooklyn’s immigrant population, bringing to justice countless offenders who preyed on vulnerable immigrants through scams and theft. Prior to that, Kin served as Felony Deputy Chief of the Orange Zone Trial Bureau, and, from 2007-13, as Director of Training for the Office’s Assistant District Attorneys. As Director, he was responsible for pioneering the “Felony Boot Camp” program for Assistant District Attorneys, organizing his office’s internship programs and training police officers in public integrity and ethics. Kin has also previously undertaken other prominent positions at the District Attorney’s Office, such as Deputy Bureau Chief in the Early Case Assessment Bureau, Deputy Bureau Chief in Criminal Court, and Bureau Chief of the Domestic Violence Bureau. In his 25+ years of service at the King’s County District Attorney’s Office, during which he has tried countless serious felonies, Kin has provided an excellent example of an individual committed to justice and public service. Outside of prosecution, Kin has also been an active educator, lecturing on and raising awareness of topics related to the criminal justice system, public service, diversity, immigrant community issues, and leadership in government. From 2013-14, Kin served as Adjunct Professor at John Jay College of Criminal Justice, where he lectured on the American Judiciary and Criminal Law in New York. Kin is a co-founder of AABANY’s Prosecutors’ Committee which has grown to be among one of AABANY’s most active and vibrant committees. The Committee was honored in 2016 with an Event of the Year Award for their 7th Annual Reception in which they honored Deputy United States Attorney for the Southern District of New York Joon Kim and the family of fallen detective Wenjian Liu. Kin also serves as the President of the New York Chapter of the National Asian Pacific Islander Prosecutors Association (NAPIPA), a national organization dedicated to representing and advancing the interests of prosecutors of Asian Pacific Islander heritage. AABANY is proud to present the Norman Lau Kee Trailblazer Award to Kin Ng at its Ninth Annual Fall Conference.